Motivated seller! 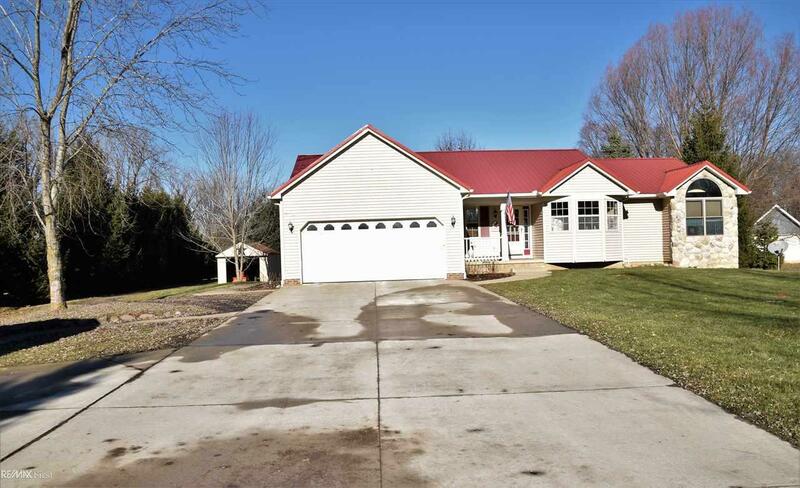 Beautiful country home built in 1999 on a spacious 3 acre lot. 4 BRS, 2.5 baths, 2 car attached garage & 4 car detached garage, main floor laundry, full basement, master suite w/fireplace and ensuite w/soaker tub & stand up shower. Kitchen comes with appliances and includes plenty of room for storage. For anyone who has ever dreamt of living on the country side, this home offers ample room to enjoy the views of nature. Spacious deck for extra entertaining, room w/patio and built in fire pit, pole barn (32x34) allows room to raise livestock w/stalls and fenced in yard; chicken coop; shed for storage. Steel roof. High speed internet available in area; Armada School district.